I have a new card to share with you today ! This one was made with the Birds and Butterflies stack by DCWV, and a cute sticker by Recollections. 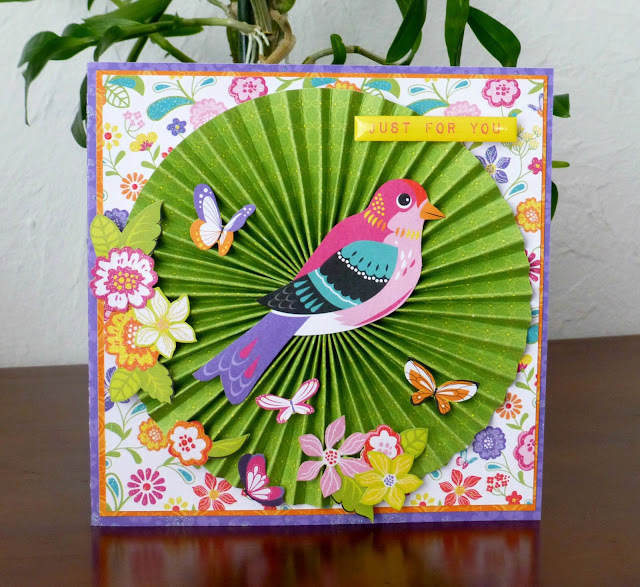 My advise to make the round paper fan ? Score the paper on the print side, and it will not teared up. I find the double mat very elegant, I like to use this technique on my square cards. I adhere the mats with Scor-Tape, and the small designs with Glue Dots. 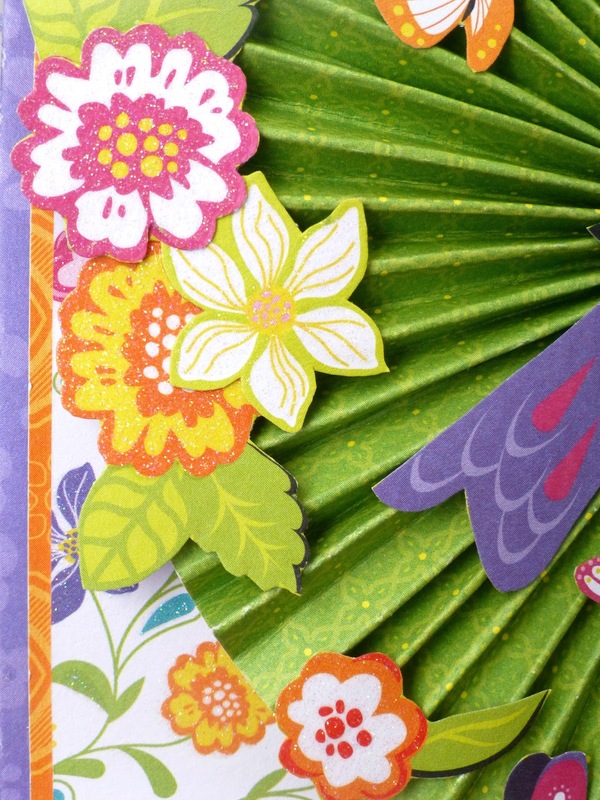 This card looks like summer, don't you think ? This is so cute especially since I just visited a place called 'Parrot Mountain' in Tennessee. It definitely gives me an idea for a great scrapbook page! Thanks for the idea. Thank you Suzanne ! Glad you like it ! DCWV prize goes to charity !